I think you have done quite well for yourself, Ashley. It would be interesting to read how you view paralysis as “hilarious.” In all my years, I have never been given that parallel. What I have found is that as I have aged, a disability becomes more accepted and less defining by my peers because they are also aging and learn their aches and pains do not defile their spirit! May your spirit carry you far. Hi, Deb! Thanks so much for reading this post, and for your question! In my experience, disability can be REALLY funny. In fact, there’s almost nothing in this world that I don’t find funny sometimes, unless it truly is tragic–like the murder of a child or something equally unremittingly terrible. And I eschew the idea that disability is one of those things. In some ways, I think tragedy merely implies a huge life shift and becoming accustomed to it. Meaning, BECOMING disabled was a tragic event for me, but BEING disabled is not. My favorite hilarious memory happened when I was a freshman in college. I was at a Second City show here in Indianapolis with my then-boyfriend. I transferred from my wheelchair into one of the seats, and my wheelchair was parked nearby with my coat and my boyfriend’s coat resting on it. At one point during the show, a man ran down the stairs into the audience and grabbed me by both hands and said, “Come on! We need your help onstage!” and proceeded to PULL me with him. I protested, “No no, I can’t!” and he said, “Don’t be shy! Of course you can!” and continued pulling. I started laughing, “No no no!” because I realized that this guy didn’t know I couldn’t walk and that he must have people protest being pulled onstage all the time. I needed to clarify. “I can’t, I said, “I’m in a wheelchair!” and then gestured to my nearby chair. The guy looked at my chair, then at me, then my chair, then me, and said, “Oh… you can’t WALK.” His mouth was literally hanging open. He recovered after a moment, and pulled my boyfriend onstage to dance like a cowboy and I could not stop laughing!! Interestingly enough, this is the specific moment my graduate class found to be so tragic. It was the impetus for me writing this post actually. That I could find something so hilarious, and yet so many people around me would characterize it as tragic really bothered me. I didn’t like people implying (or in the case of the girl who compared it to suicide, actually directly saying) that I was just “making the best” of a terrible, horrible, tragic situation. And if people do find this moment to be tragic or sad, then as I say above, they are the ones typecasting disability as painful, not I. Events can be tragic, but my life is not. My life is funny, and full, and sometimes hard, and sometimes boring, and most of the time, pretty darn good. I really enjoyed reading this. Everyone has their own tradegies, but we always envision others as much worse than our own. Your piece help put that into more of a perspective for myself, thank you. We are so inclined to assume the way people feel, or the way people should feel, that we invent stigmas and stereotypes without realizing it. The writing workshop in this piece is an incredible way to convey how this occurs. Thanks for your insight. I’ve always wondered if it just becomes normal to people that they are always in a wheelchair, or if they regret every day. I think that your thoughts have a lot of truth. You choose to make things humorous and uplifting. I think that is exactly how almost anything tragic can be. It is your mindset that results on how you feel towards something. You choose to find happiness, and I bet some others regret waking up every single day. It is all about perspective. Thanks so much for letting everyone know that we shouldn’t typecast everything as a tragedy. You had me on the hook in your first paragraph! It is completely true how we treat other human beings who are different in any sort of way. Years ago I took this Special Education class lead by an amazing professor. He taught us that people who have disabilities often times want nothing more than to be treated as everyone else. This man who was blind would guest teach and tell hilarious stories regarding his disability. His attitude reminds me of yours. 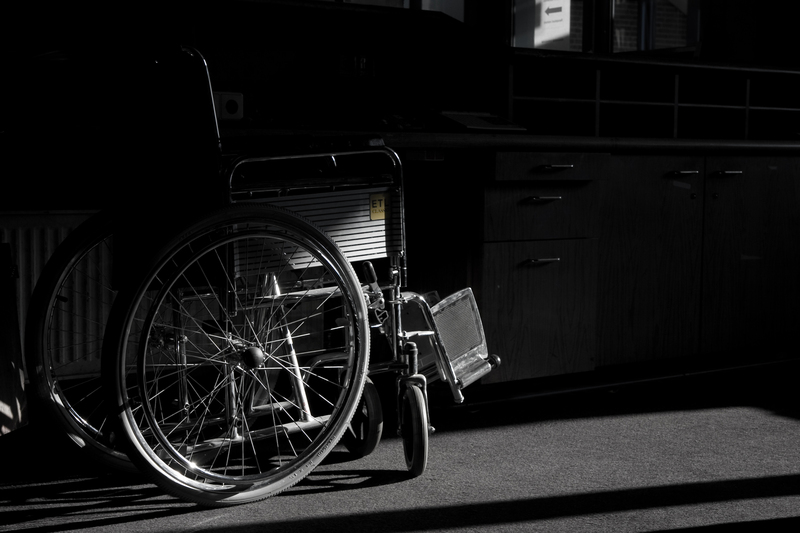 To me, your words relate a lighthearted take on life — wheelchair or not.